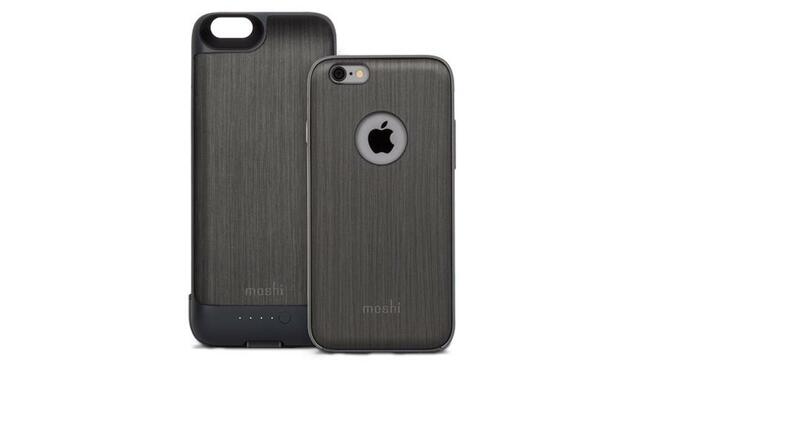 A slide-on battery case isn’t something TravGear.com has seen before, and Moshi has here developed something special for frequent travellers; a shock-absorbing basic phone cover with an optional slide-on power pack. Sadly only made for iPhone 6 & iPhone 6s, this 128g case comes in two parts; a brushed metallic case for the iPhone and a bulkier, but slide-on battery. That basic case has a cutout for the Apple logo on the back of the phone, and for the camera, thought the need to use a headphones adaptor cable is slightly annoying. You’ll also have to start travelling with a micro USB cable (included in the box) to keep the iGlaze ion charged-up itself. It’s a nice idea, and the battery slides on well, but capable of storing a charge of only 2,750 mAh, it’s only going to recharge an empty iPhone 6/6s to about 80% (though it does it very quickly). However, that’s enough for well many hours of video-watching , which makes the iGlaze ion a good option for long-haul flights, long coach or train rides, and perhaps a day of heavy phone-use at a conference – or if you’re using a phone as a computer post-laptop ban. Still, a bigger battery size would have been nice.